St. Patrick’s Day is around the corner. 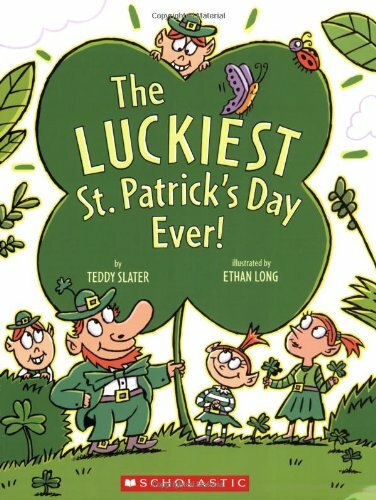 Here are 10 terrific St. Patrick Day picture books your kids are sure to love. 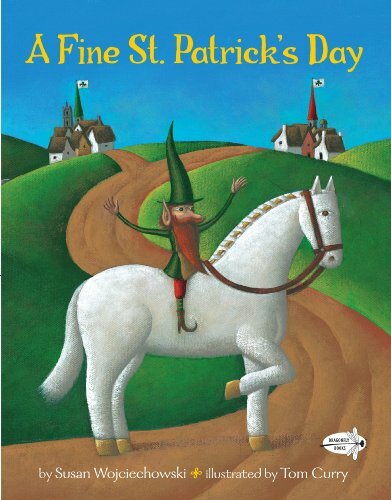 You can find these St Patrick’s Day picture books at your local library or purchase them through the affiliate links provided for your convenience. 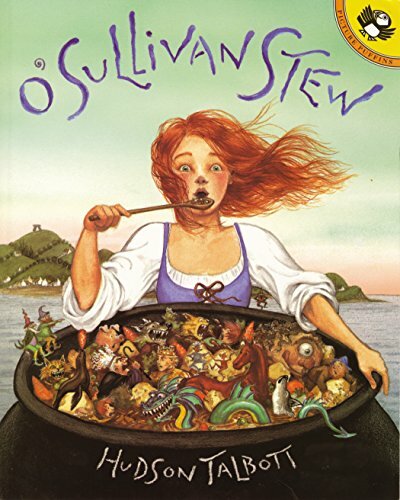 O’Sullivan Stew (Picture Puffins) : Someone has stolen the witch of Crookhaven’s horse, and there will be no peace in the village until it is returned. So bold, brassy Kate O’Sullivan takes matters into her own hands. But instead of saving the day, she manages to land herself–and her family–in trouble with the king. So Kate sets out to save their hides the only way she knows how–with a good story. A Fine St. Patrick’s Day : Welcome to the rival towns of Tralee and Tralah, where the annual St. Patrick’s Day decorating contest is under way. Every year, Tralah defeats Tralee. This year, though, little Fiona Riley has a wonderful idea that will help Tralee win the contest for sure. But neither town has counted on a stranger arriving—a funny little man with pointed ears and boots trimmed with bells—who will turn the contest upside down! Green Shamrocks: Rabbit is growing shamrocks in a pretty yellow pot–he’s getting them ready for St. Patrick’s Day so he can wear them for the parade! When his pot of beautiful green shamrocks goes missing, he goes searching . . . will he find them in time? 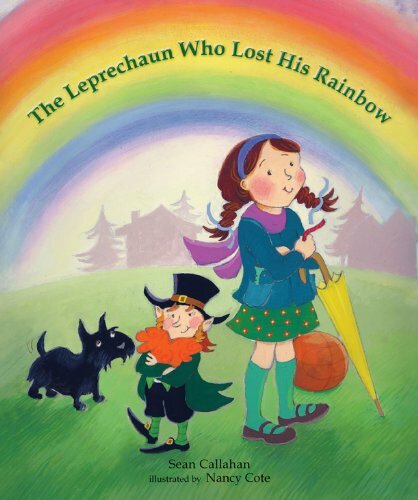 The Leprechaun Who Lost His Rainbow : When a leprechaun appears and asks Colleen’s help in saving the St. Patrick’s Day Parade, she offers items of different colors to rebuild his lost rainbow. 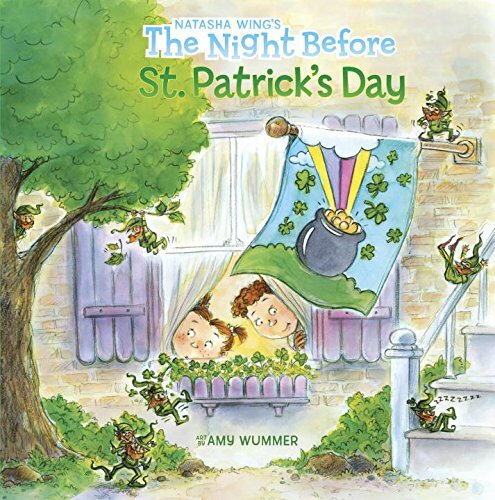 The Night Before St. Patrick’s Day : Natasha Wing puts an Irish twist on a Christmas classic. It’s the night before St. Patrick’s Day, and Tim and Maureen are wide awake setting traps to catch a leprechaun! When they wake the next morning to the sound of their dad playing the bagpipes and the smell of their mom cooking green eggs, they’re shocked to find that they’ve actually caught a leprechaun. But will they be able to find his pot of gold? That’s What Leprechauns Do : What do leprechauns do? They bury a pot of gold at the end of the rainbow, of course. But as Mrs. Bally Bunion’s ox, Miss Maude Murphy’s hen, and Old Jamie soon find out, they can’t resist having a little fun along the way. For, besides burying pots of gold, mischief is what leprechauns do! 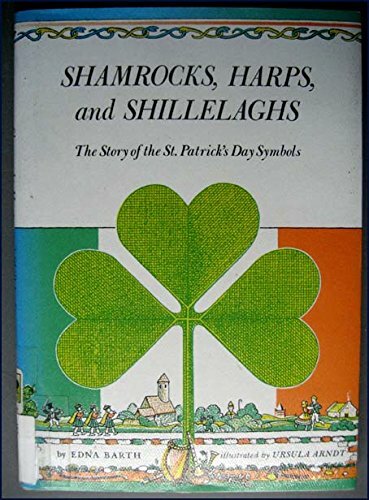 Shamrocks, Harps, and Shillelaghs: Shamrocks, shillelaghs, reed pipes, and leprechauns—these are some of the many symbols that remind us of St. Patrick’s Day. Who was St. Patrick? And what is this early spring holiday all about? With warmth and vitality, Edna Barth tells the colorful stories, legends, and historical facts behind St. Patrick’s Day and shows how the spirit of this ancient Irish holiday is still alive in many countries. 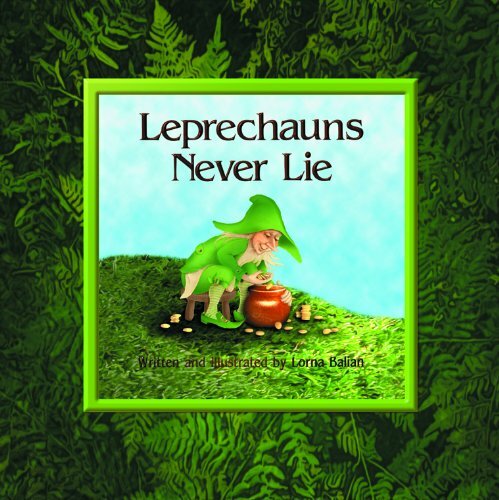 Leprechauns Never Lie : Ninny Nanny and Gram are in a bad state. The thatch on their roof is broken, the rain barrel is empty, the potatoes need digging, and all they have to eat is rainwater soup. But Ninny Nanny is lazy and not inclined to work. So she decides to catch a leprechaun and find out where he has hidden his fortune! The idea is splendid, but finding the pot of gold turns out to be much more than Ninny Nanny and Gram bargained for! 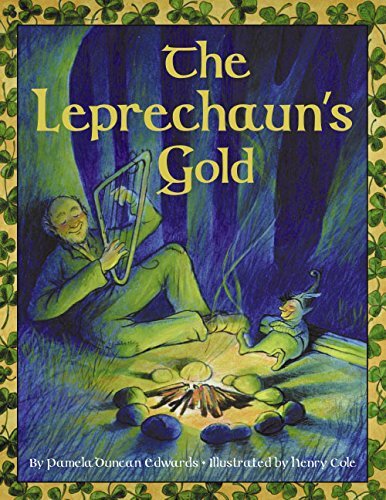 The Leprechaun’s Gold : In this classic Irish legend, two harpists — merry-hearted Old Pat and ill-spirited Young Tom — set off for a contest to name the finest harpist in all of Ireland. 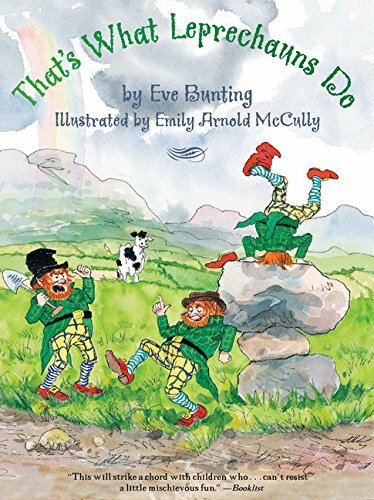 When Young Tom realizes that Old Pat is truly the better musician, he schemes to be the winner — but he doesn′t reckon with the clever trickery of a mischievous little leprechaun. Patrick: Patron Saint of Ireland : The story of Patrick’s life, from his noble birth in Britain, to his being captured and taken to Ireland by a group of bandits, to the “dreams” that led him to convert the Irish people to the Christian faith. DePaola also retells several well-known legends, including the story of how Patrick got rid of all the snakes in Ireland. 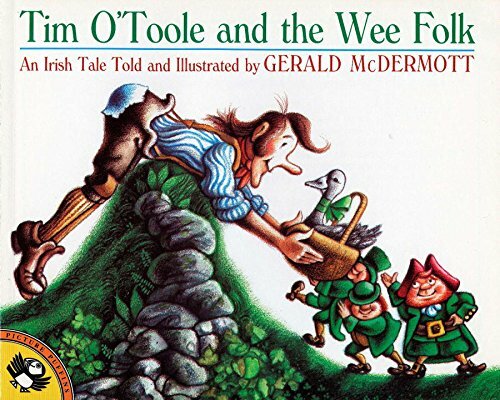 Tim O’Toole and the Wee Folk (Picture Puffins) : When the evil McGoons trick Tim O’Toole out of his fortune, he teams up with his benefactors, the Little People, to regain his treasure. McDermott’s illustrated books (including Caldecott winner Arrow to the Sun) and animated films have earned him international recognition. The Luckiest St. Patrick’s Day Ever: Top o’ the morning! It’s March 17th, and the Leprechauns are gathered for their favorite day of the year. Join them as they celebrate St. Patrick’s Day with music, dancing, and a parade! 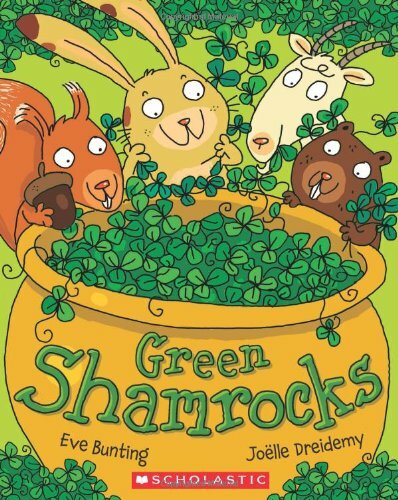 Like these St. Patrick Day picture books? Find even more engaging book lists for kids with more than 100 book-themed reading lists! These look like some great books! I’ll have to see if our library has some of these in stock!!! I hope you will come link this post on my first ever Link Party, the “FESTIVE FRIDAY FIESTA”! It’s open now through Sunday at noon ET. Here’s the link if you’d like to post it! Sure would love to see you there! So glad you like these books 🙂 Follow for more book ideas down the road. And I did link up to your Festive Friday Fiesta. Hope to see you on mu Friday Flash Blog as well. I love your header. What better to warm me up than two cuties at the beach. I am repaying the visit to my site from the Kid Lit Blog Hop. I am a bit late in my hopping, but bad health will do that to a blogger. I hope you enjoyed my site. I love the list of St. Patrick Day books. It reminded me that I do not have one St. Patty’s book in the que for review. Maybe a run to the library is due. Thanks for giving me some great book ideas. See you next hop? Glad to hop up and thanks for visiting. At first glance your site looks great! I just need a quiet moment to browse around 🙂 Looking forward to connecting with you more! Well, if you asked my boys, the holiday straws at Target are an absolute must for ANY holiday 🙂 For some reason, St. Patrick’s Day books run a little “young” but the first two books listed and the two non-fiction books would match your 8-year-olds interests. Thanks for th list! McDermott’s book looks interesting! He’s written so many great books it’s hard to go wrong with him. They sounds like such good boooks for the girls! All of these books are girl-friendly but my boys just love them. Yes, that’s what I was thinking. They sound like the kind of books my girls would Love. Oh well. He won’t remember he didn’t know! Thanks for sharing and definitely check them out for yourself. The first three are our favorites right now. Those are great! I have never heard of them before! Thanks for sharing! I will have to look into getting some of these books for my daughter and my grand children! Thanks! Great list of books. 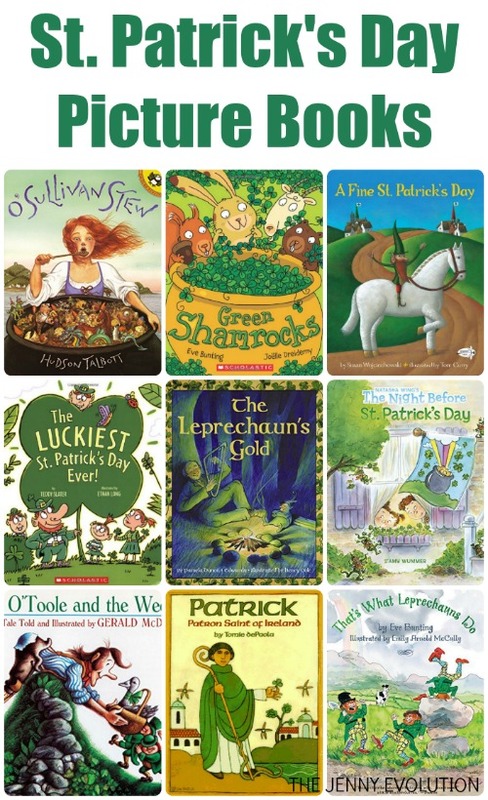 Will have to select a few for my little leprechauns St Patricks day reading. They’re all good books but the first three are our absolutely favorites 🙂 Happy reading! Oh how cute! This is my grandson’s first St. Pat’s Day, he might enjoy these, especially the picture books! Thanks for hosting! Glad to give you some ideas. If he’s a toddler, the board book in “honorable mention” would be perfect for him. This is a great list. 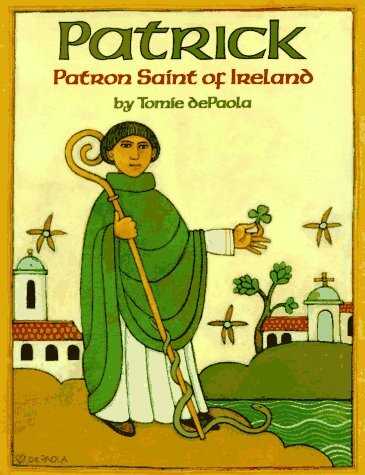 I’ve been looking everywhere for Patrick: Patron Saint of Ireland by Tomie de Paola but I couldn’t remember the title! Thank you! Glad I could fill in a gap for you. It drives me crazy when I know I want a book but can’t remember the title to save my life! Thanks for the invite and for visiting. I’ll be sure to link up! You know, I don’t think I’ve ever seen a St. Patrick’s Day book. Thanks for sharing! St. Paddy’s Day books aren’t very common. But kids just LOVE leprechauns so they’re a must in my house. What a bunch of great books. I do love a leprechaun. So many fabulous books for children around these days, thanks for taking the time to let us know about them. Glad you like my recommendations. And my boys are wild about leprechauns, too. What’s not to love? Mischievous, little men who have a pot of gold. I’m in! Thank you for sharing this list of books! Have a lovely day!